More and more people are solely reading and sending email from their mobile devices. This happens on all those beautiful smartphones (I have and love the HTC Desire for instance) but also from smaller-than-laptop-screen netbooks (example: Dell Mini 9 has a reso of 1024 x 600), iPads (1024 x 768) iPhones and all other battery powered electronics. The trouble with email on mobile is that it requires a complete new approach in the design and subject line department. 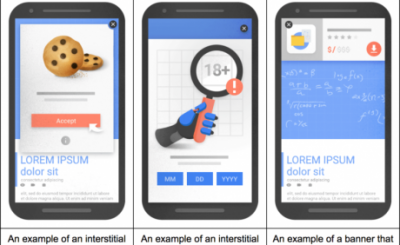 The classic ‘600px wide works everywhere’ doesn’t work everywhere anymore: many of the small screens are somewhere between 300 and 500px wide: the not so small Motorola Droid has a resolution of 480 x 854 while the first mentioned HTC Desire has 480 x 800 available screen real estate. Lesser smartphones run on the humble resolution of 240×320: not much compared to many desktop screens with 1280×1024 of even 1900×1200. Even though there are Dutch subject lines, you can see that almost all of them have been cut off: average character visibility is 28. The only one completely visible is the Transavia one with ‘ Prinsheerlijk vanuit Den Haag’ . The KLM subject line personalises with “Meneer Bergsma…” which would be throwing away a lot of potential: I know my name and it doesn’t need to be used in subject lines: save it for the email itself, I want to know the content of the email (hence the name ‘subject line’). 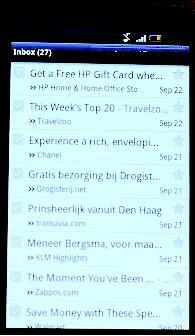 Just two subject lines higher there is ‘ Gratis bezorging bij Drogist..” which means free delivery. Now we’re talking: this is attractive. There’s something else: Android (which runs on my HTC Desire and many more smartphones) has GMail Priority Inbox available if you have it turned on in your GMail account: this will filter out some messages too depending on how smart it already has gotten. For email marketers there’s a lesson to be learned: can you trim down your subject line to 35 characters, or even just 25? If yes then please do so, it’ll help your subscribers to understand what the email is about and hopefully open it. Next time I’ll be focussing on the other big impacting factor of mobile email: resolution and email design.